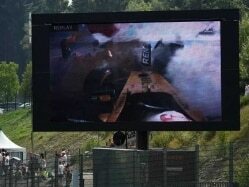 The championship leader produced a decisive lap in the last drying seconds of a rain-hit session in 1min 58.179sec to outpace nearest rival Sebastian Vettel of Ferrari. 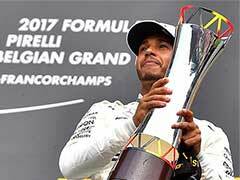 Lewis Hamilton tip-toed his way to a memorable record fifth pole position at the Belgian Grand Prix on Saturday as he and Mercedes handled the capricious weather conditions at the famous Spa-Francorchamps circuit with tactical aplomb. 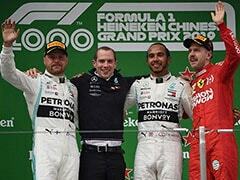 The championship leader produced a decisive lap in the last drying seconds of a rain-hit session in 1min 58.179sec to outpace nearest rival Sebastian Vettel of Ferrari, who is 24 points behind him in the title race, by 0.726sec. 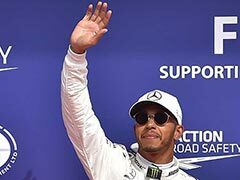 "That was excruciating, an awesome lap, you really nailed it in that last sector," Hamilton's race engineer Pete Bonnington told him on team radio. 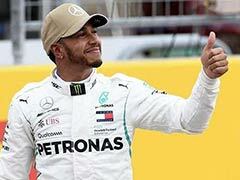 "That was one of the toughest I can remember," said Hamilton who had claimed the 78th pole of his career thanks to well-timed laps in the improving conditions at the end of the session. "The track looked dry in some places, but it was actually wet. It was so hard... I went off twice, but I am so glad I managed to keep it together. 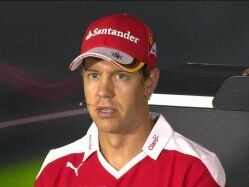 "It's so competitive this year and we are in a big fight with Ferrari. Everyone is on the edge of their seats." 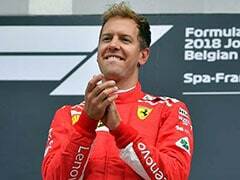 Vettel conceded that Ferrari had not managed their strategy well in the rapidly-changing conditions. "We didn't time it great, but, look, in these conditions we might as well take second," he said. 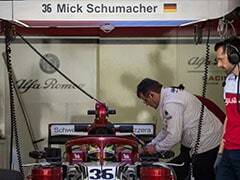 "Kimi (Raikkonen) was obviously rushing to get out again - but look now and we have sunshine and it is dry. "I had a bit of traffic with Esteban and maybe I was not as calm as I would like to be, but hopefully tomorrow we will have the pace with the car." 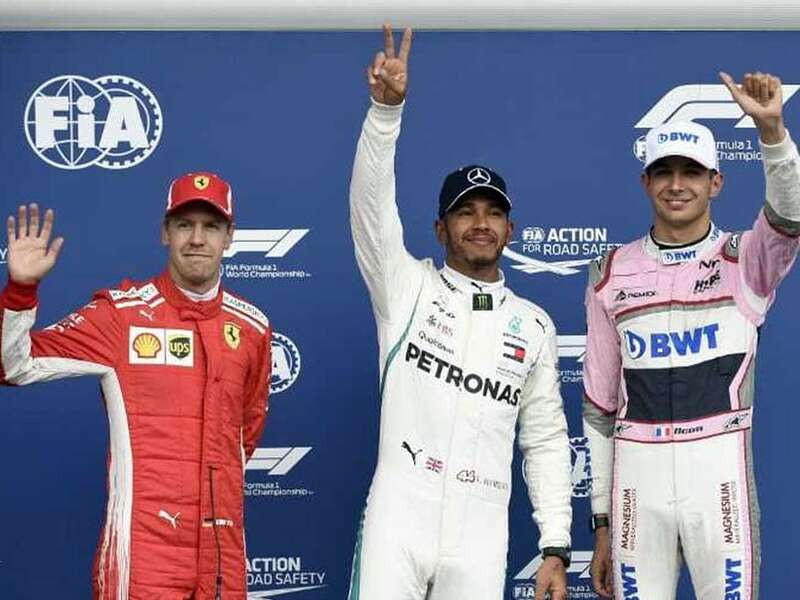 Esteban Ocon took third place for the re-born Force India team, under new ownership, ahead of his team-mate Sergio Perez and Romain Grosjean of Haas, their teams taking a positive view of the conditions and timing their tyre-changes perfectly. 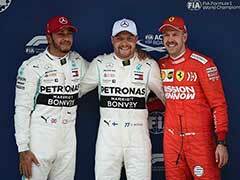 Kimi Raikkonen, in the second Ferrari, had looked a likely front-row qualifier before heavy rain swept across the circuit and he ended up sixth ahead of Max Verstappen and his Renault-bound Red Bull team-mate Daniel Ricciardo. Kevin Magnussen, in the second Haas, was ninth and Valtteri Bottas, in the second Mercedes, 10th, with the Finn knowing that he starts Sunday's race from the back of the grid after collecting grid penalties for taking a limit-breaking fourth new engine.